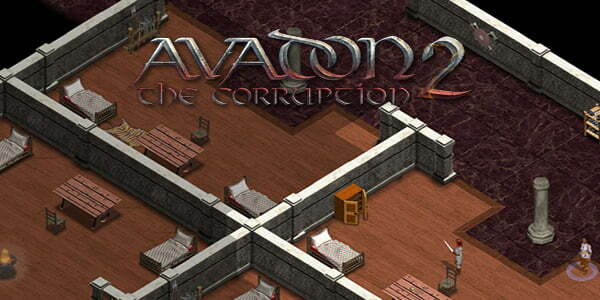 Avadon 2: The Corruption is anything but original, but that doesn’t mean it isn’t entertaining! In an age of gorgeous graphics, digital transactions, and the all mysterious “Cloud”, it is nice to hearken back to the past. Recently, this “hearkening back” has been happening a lot, with just about every independent developer making their own version of a retro platformer. Avadon 2: The Corruption is a return to the classics, but in the form of a turn based RPG much like the original Fallout. While Spiderweb Games does not exactly do anything new, the world of Avadon and the “old-school” mechanics that it employs are nothing short of entertaining. The story is filled with generic fantasy tropes, but it is pure escapist wonder. The land of Lynaeus is going through a civil war. Avadon has been weakened and rebels have emerged from the once strong kingdom. There isn’t a whole lot of completely new here, but it serves as a set up to drive gameplay. Multiple endings are possible, because it is up to you to decide who you will fight for. There are five predefined classes for you to choose, Blademaster, Shadowwalker, Shaman, Sorcerer, and, the newest edition, Tinkermage. All have their unique abilities and cater to different play styles. By far the most enjoyable class to play was Tinkermage. Spawning fully mechanized ballistae and disarming mines adds a tactical and fresh feeling to a classic formula. One major disappointment can be found at the very start of the game, there is no way to alter your physical appearance. Equipping armor and weapons does absolutely nothing to change or add to your character. While this seems like small gripe, the cosmetic change in equipment gives a larger sense of progression than a numerical level ever could. Set with an isometric camera, Avadon 2 allows for real-time flowing movement until the players enter combat mode. This is done in one of two ways, either you manually enter combat or an enemy comes into sight. Because of this, combat is slower and more deliberate. Encounters can range from a quick couple of hits to a long strategic combat session. Enemies are varied and interesting, like all great RPG’s you begin fighting some simple rats and work your way up. Talent trees are fairly standard and spells are charged with turns. AI companions can be recruited, this adds yet another strategic element because getting members who complement your abilities is vital for success. If one thing must be commended, it is Spiderweb’s interpretation of this classic genre. Even though this is a new game, I felt like I was playing an old PC game from the 90’s. Avadon 2: The Corruption does nothing blatantly wrong. It does not fail on a technical or conceptual level, nor does it thrive in either aspect. While this game can serve as a good bit of nostalgia for any turn based RPG fans, is really doesn’t do anything new. If you enter into a game with the expectation of getting a brand new experience with innovative elements, this is absolutely not for you. However, if you seek a blast from the past that injects a fresh, albeit slightly derivative, story and an awesome class (Tinkermage) than by all means, buy this game when it is released. Whenever I want nostalgia from SWS I hunt down my old “101 software” cds and run the shareware version of Exile 3. Sounds like the battle/movement mechanics in this are reminiscent of that, though I am slightly sad to hear that there isn’t a visual cue on the changes your character can make when leveling or changing armor. One look has been the norm for the games I’ve seen from them and I’d always tweak the bitmaps to reflect changes in Exile.